Our work on purchase feedback applications enable Swiss consumers to receive tailored nutritional feedback based on ingredient data of purchased products. We assess the impact of gamification, tailoring of dietary information on the intention forming and ultimately behaviour on these novel feedback apps. It is estimated that in the year 2030 our daily consumption surpasses 3’000 kcal per day. The consequences are dramatic: Obesity, diabetes type II and other overweight related illnesses take a significant toll on patients and the health care sector. 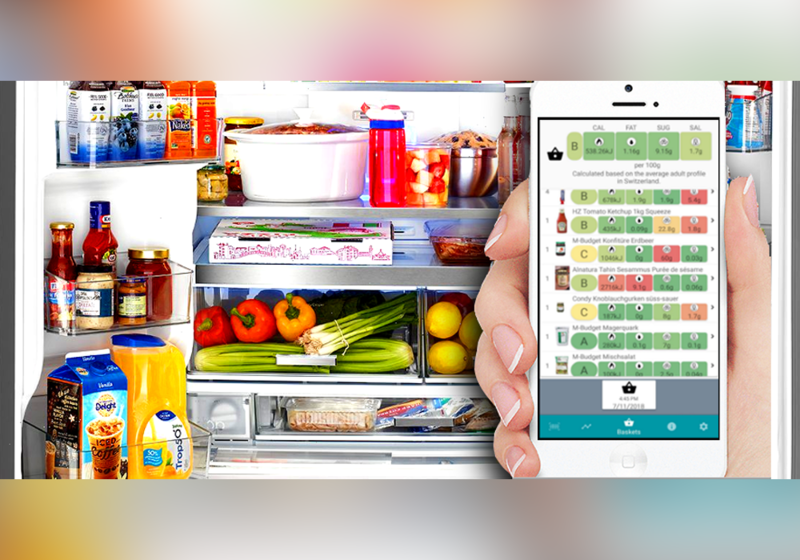 Our project “FridgeCheck” will be a digital nutrition coach and aims to increase transparency between retailers, food producers and consumers: Consumers can scan products and track their purchases and the application will in return interpret the user’s purchasing history from a nutritional expert perspective: Depending on the user’s characteristics and diet, the app will return recommendations for a healthier nutrition: For example by suggesting alternative products just in between two visits to the store. We want to observe how the app can change consumer attitudes, intention & behaviour when it comes to healthier food choice. Our product database which is used as basis for this products currently contains around 30 000 products including each product’s image, size, text description, nutrient and category data, and is constantly being extended. Each of our apps is a publicly available mobile application in which users will become able to scan product items and the app will then compile a quantitative assessment of the user’s dietary history and recommend substitutes with a relative high, positive impact to the user. The Swiss Society for Nutrition supports our research on purchase feedback applications.